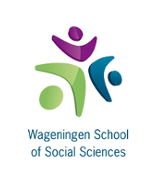 The conference will be held in the Hof van Wageningen, a hotel and conference centre located in the city centre of Wageningen. Take exit Renkum/Wageningen/Oosterbeek. At the traffic lights take direction Renkum/Wageningen (N225). Go straight on until you come to a roundabout. At the roundabout go straight on, and you will enter Wageningen. Hof van Wageningen: At the 4th set of traffic lights straight on. After 200 metres turn left and you will enter the parking lot of Hof van Wageningen, Lawickse Allee 9. Take exit Wageningen/Ede/Bennekom. At the end of the exit go (in the) direction (of) Wageningen (Dr. Dreeslaan). In Wageningen turn right at the first set of traffic lights (Nijenoord Allee) (and) follow this ring road (in the) direction (of) Rhenen. At the 3rd set of traffic lights (you will see the Agro Business Park in front of you) turn left (Kortenoord Allee). At the first set of traffic lights, after the roundabout, turn left (N225), direction Renkum (Lawickse Allee). Hof van Wageningen: After 100 metres, on your right-hand side, you will see the parking lot of Hof van Wageningen, Lawickse Allee 9. Take exit Ochten/Kesteren. Immediately after the exit turn left (follow N233, Rhenen). Over the bridge at Rhenen (river Rhine) turn right (follow N225, direction Wageningen/Renkum). After approximately 6 kilometres at the roundabout straight on (N225). Hof van Wageningen: After the roundabout and the traffic light, take the first road to the right to enter the parking lot of Hof van Wageningen. At the Airport you can buy a train ticket in the ‘arrivals’ area. You will see the sign "Train tickets" near the exit. Then follow the signs 'Nederlandse Spoorwegen' (www.ns.nl) or 'Trains and buses' to the railway station. Purchase a one-way ticket to the "Ede-Wageningen" train station, this will cost €14,70 (plus € 0,50 service charge if you buy the ticket at the ticket counter). It is also possible to buy the ticket from the ticket vending machines in the station. Every 30 minutes there are direct connections to Ede-Wageningen, leaving from platform 1 or 2. Also, twice an hour there is a connection via Utrecht (where you have to change trains). On the platform, you will see signs hanging from the ceiling with all names of the different stations where the train will stop. Check for the names Ede Wageningen or Utrecht and board the train. The trip from Schiphol to Ede-Wageningen usually takes you a bit more than one hour. For up-to-date Dutch train information, use www.9292ov.nl. Wageningen has no railway station. This lack is fully compensated by accurate means of buses and taxis. From railway station Ede-Wageningen you can take a taxi (approx.15 min.) Taxis leave at the north side of the station. This will cost approximately € 20,00. You can also travel by bus 88 (Valleilijn, direction Wageningen), which leaves at the South side of the station, to the Wageningen bus terminal. You have to purchase a bus ticket in the bus. This will cost € 2,00. 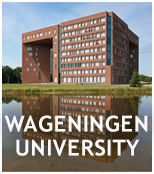 Finally, Hof van Wageningen is located approximately 250 meters to the West of the Wageningen bus terminal.